The Malta Fishing Forum has been working hard with the newly elected government to ensure that we have a transparent and open communication channel between the ministry that oversees fishing in Malta and the Fisheries Control Directorate. The Malta Fishing Forum represents the largest number of recreational fishers in Malta many of whom have chosen not to be a member of a local district fishing club and through its on line forum, is able to reach out and communicate with close to 3,000 on line members. Since its inception in 2006, the Malta Fishing Forum has grown from strength to strength organising Malta's largest National Big Game Tournament where over €16,000 was donated to charity as well as numerous other tournaments. We feel that we are a significant stakeholder in the recreational fishing sector and we will be working towards due representation on the Fisheries Board in the near future. 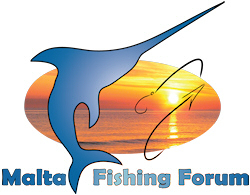 The Malta Fishing Forum was created in 2006 to address the growing needs for an on line community dedicated to fishing around Malta. The site together with the Discussion Forum caters for a diverse range of fishing styles, from inshore angling and spear fishing to offshore game fishing. Whether it's Albacore, Tuna, Amberajack, Dorado (Lampuki), rod fishing or spearfishing, the forum has it all. With this comes time, dedication and most importantly support from our moderator team, members and our sponsors. Our objectives are to create an online community within a friendly and relaxed atmosphere discussing various fishing techniques, whilst at the same time promoting awareness of conservation. The forum also strives to provide the latest up to date information concerning local fishing legislation, and group this together in an easily accessible location. To seek representation as a member of the Fisheries Board in order to provide the necessary guidance during the creation of regulations affecting the recreational fishing sector. There's no doubt about it folks, our planet can no longer sustain global fishing activities unless we start to become more eco-friendly and conservationally aware. As the forum has grown to include over 27,000 posts, so have our awareness levels about the need to practice Catch and Release, not just when it comes to shore fishing but also when fishing for larger pelagic fish. We're not perfect and we're encouraging our members to release both undersized fish as well as be more aware of sustainable fishing practices. It's a work in progress and hopefully by raising awareness and keeping people informed of developing legislation and best practices, we can work towards a more sustainable approach to fishing even within the recreational angling sector. Here in Malta we target pelagic fish such as Albacore, and other types of tuna, swordfish and sailfish and even amberjack. Most of this fishing is done using rods and reel in the 20-40lbs line category although it's always nice to be set up with something a little larger just in case! Fishing for Bluefin tuna is done stricly on a catch and release basis with specific authorisation permits from the local authorities. Coastal Fishing by small boat is very popular around the Maltese Islands due to the relatively cheap costs associated with owning a small boat and outboard. Various type of fishing can be practised: bottom line, surface trolling and jigging, both within creeks and bays and in open seas. Fishing from the shore has been one of the most popular types of fishing in Malta. Equipped with either a long pole style rod or casting reel and rod offers a variety of opporunities whether you are fishing inside ports, creeks etc or on the open coastline. Recreational fishing in Malta has recently become fairly popular with local clubs promoting catch and release policies. Server has now been migrated to a new one due to reduced traffic to the site and to help mitigate costs that we personally incur. Be sure to visit our Facebook page as well.